Everything starts with the ball of yarn and a crochet hook. Me standing in front of the yarn stash deciding on the right yarn color and fiber type. The yarn is so important, but at the same time, so many possibilities. I love my work so much. Designing a new crochet pattern is always an exciting time for me. I can spend hours and days crocheting, counting stitches and tearing my work apart. Just to make it the way I’ve imagined it. I write down every step on the piece of paper which might look to you like a big mess that only I can read. And you are right! The first draft is nothing like the final pattern. 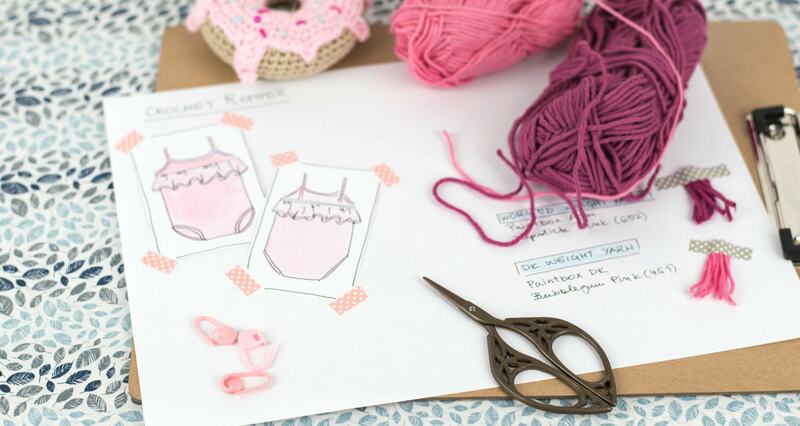 When the garment is ready, I crochet a brand new one, write a digital version of the pattern and take photos of all the important steps and parts that might be tricky to understand. The last thing on my to-do list, before I release the pattern, is to test the pattern. And that’s where I need your help. 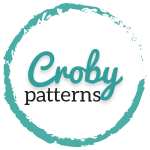 A pattern tester is simply a person who loves crochet and is willing to help a crochet designer to go through the pattern and check it for any stitch and grammar errors before it is published. Why do we test patterns? The wish of every crochet or knitting designer is to put out a well-written pattern, that is interesting, easy to understand, beautifully designed and of course has no stitch or grammar errors. Some pattern designers are very confident in their skills and prefer to test the patterns on their own. But sometimes, even though we try to do our best, read a pattern a thousand times and crochet the final item over and over again, it can happen we unintentionally overlook something. When re-reading the same text over and over again, after a while you can’t catch your mistakes anymore. They become so easy to overlook. Even small typos. That’s why testing patterns by myself is just not good enough. Plus you meet new friends who love crochet as well. Win, win! Am I right? You will be notified when I need help with a new crochet pattern thought my Facebook group created just for my pattern testers. I will post a picture of the final item, all the materials you will need to successfully finish the pattern testing, how much time you will have to complete the testing and link to the application. You do not have to apply to test all the patterns, just to the ones you really like and have time to complete. Pattern testers will receive the pattern they have to test and a form that they have to fill out to successfully complete the testing. The ones who will do a really great job will be most likely chosen more often and will sometimes help me with my secret projects as well. So make sure you do your best! If you don’t finish the testing, you are not answering my emails and disappeared with the pattern you won’t be asked to test again. Why become a pattern tester? The answer is very simple. To increase your set of skills and gain experience, crochet something new each time and be a part of a community who really loves crochet. Also, you will see my patterns before anyone else and get a final copy of the pattern via email or Ravelry library when the testing is complete.